As much as I love to attend blogger events, photo sessions, traveling and being on the road, it's always so nice to return home to my cozy bedroom. 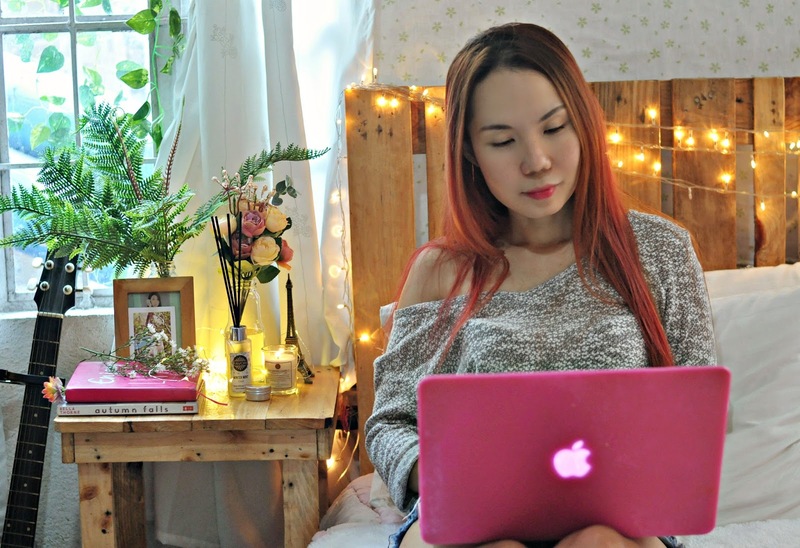 That’s the time I can write on my blog and edit photos so I can focus and work without interruptions. Working from home sounds like a pretty great gig to achieve better work-life balance. It’s a good balance between having peace and quiet when you need it and much-needed interaction with your family, too. If I had a rough day or if I suffer from stress day in and day out, having a natural go-to solution, like an aroma candle and reed diffuser in hand, can help to relieve stress symptoms and do wonders for calming the anxiety and relaxing the mind. Scents are powerful – a simple smell can immediate trigger a powerful memory and can directly impact our bodies through our nervous system. Filling the bedroom with the right scents at the right times will create the proper atmosphere for relaxation, sleep and romance. I added some green plants for a bit of oxygen and humidity. I also used bunches of fresh flowers and the Find your Focus Package from FAVORI -- this will help me breath better, work better, sleep better and will allow the scented air to work its magic. 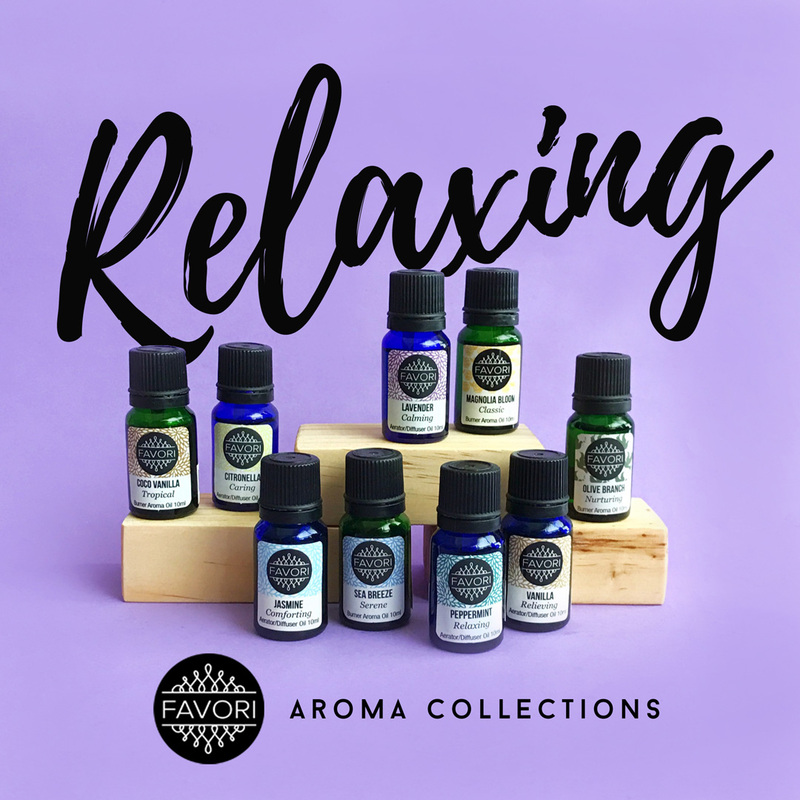 This March, FAVORI have come up with a special set of FAVORI scents and wellness products that will help improve the focus and concentration. Whether you're a student, working professional or stay-at-home parent, we sometimes need help when we're overwhelmed juggling several tasks and commitments at the same time. When this happens we lose our focus, become stressed and sluggish and we may not even get to accomplish much. In times like these, it can help us recalibrate and refocus. This Find your Focus Package will give us that much needed boost in productivity! Watch in what FAVORI business partner, model and actress Angel Aquino has to say about these. You can avail the FAVORI at their branches at Glorietta 3, Robinson’s Place Manila, SM Megamall, SM Southmall, SM City Marikina, or Market! Market! It’s always nice to sit down and relax. Lovely photos and beautiful you!!! Relaxing is very necessary. Wow, I would love to try it!! I'd like to work by home too. and I love candles. Great post, dear! You look so beautiful! Also, great and very interesting post. Thanks for sharing it with us, dear! I am a fan of scents! Cool one! Nowadaays peoplee print tshirt as they need.